If you’re planning on launching your own landscaping business, it is important that you have the right tools for the job. There are some hand and power tools you simply won’t be able to manage without, so its important to make sure you’ve covered all your bases before launching your business. 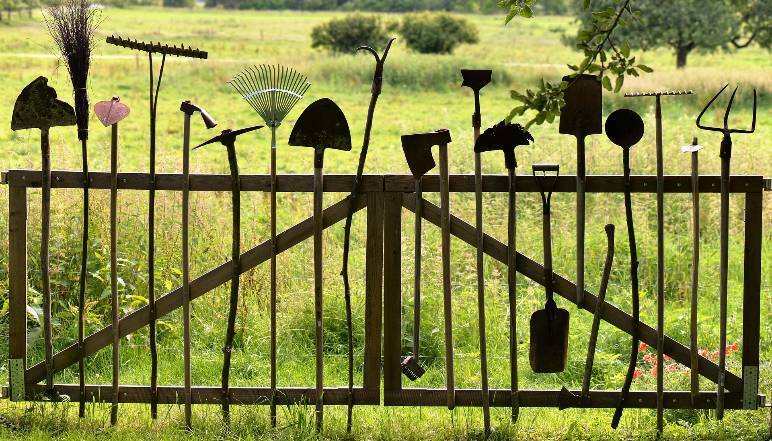 Follow our guide to the essential tools for you new landscaping business so you know exactly what you need going into your new venture. 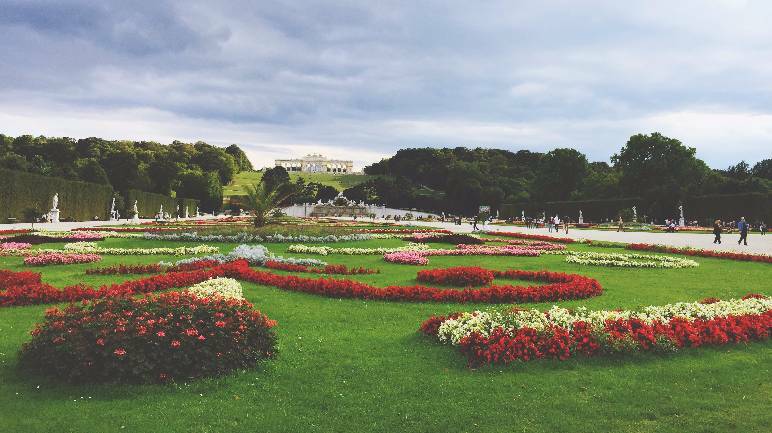 You’ll be performing the brunt of your landscaping work with hand tools, so it’s important not to overlook buying high-quality essentials when making your initial purchases. Power tools can easily be rented when you start your business and purchased when you start to make some profit, but investing in top-of-the-range hand tools at the offset is an intelligent investment to make, as they’ll last you a lifetime if you look after them properly. Go for tools with wood or coated-metal handles, as they’ll be strong but not too heavy. Make sure to choose tools with handles made from wood with a close grain, as the tighter the grain, the stronger the wood. 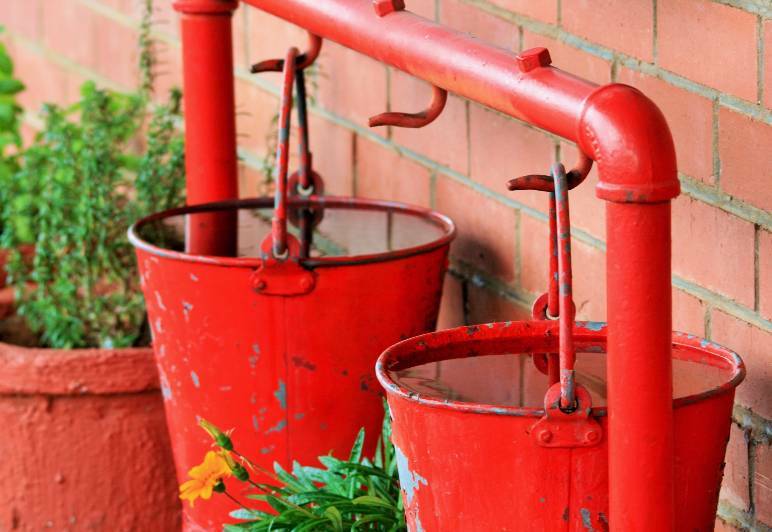 Avoid tools with painted handles, as paint is often used to disguise inferior wood. If you have the money, get tools with tubular-steel or fibre-glass handles, as they’ll last a lifetime. Choose long-handled tools with “D” shaped handles, as they’re easier on your hands and wrists. Go for models with seamless construction, as the head will never come loose. Before purchasing any tool, act out the motions you’ll go through when using it. Get a feel for the weight and length of it, and if it doesn’t feel comfortable to you, don’t buy it. Long-handled hand tools will be the tools you’ll spend the most time using while landscaping, so it’s important to buy comfortable and high-quality models to ensure they’re a pleasure rather than a chore to use. Here are our buying tips on the must-have long-handled hand tools. The tool you’ll use the most as a landscaper is a shovel. 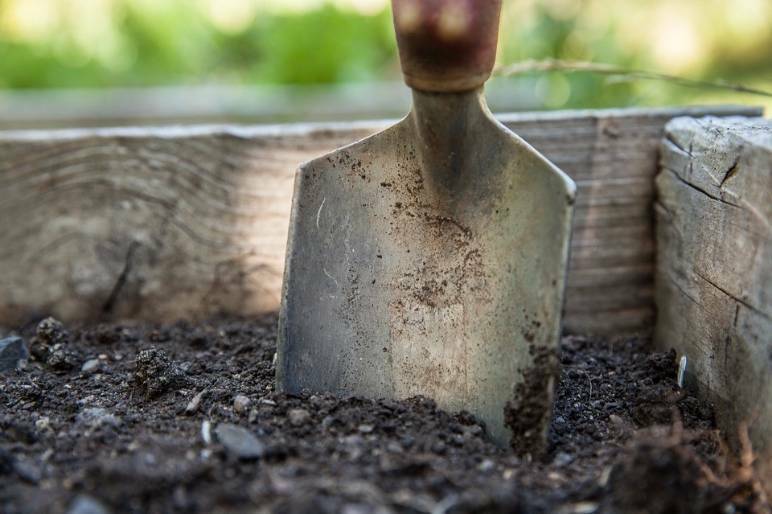 It’s the go-to tool for digging up earth, spreading mulch, compost, or gravel, and replanting, and you’ll find yourself using it for almost everything. As you’ll be using it on a daily basis, it’s worth dedicating quite a bit of your hand-tool budget on your shovel. A model with a flexible fibreglass handle is worth the extra expense, as wood handles can snap when you’re prying up rocks and stumps. A model with a stainless-steel spade won’t rust, and soil and mud can be easily wiped from the polished surface. To keep your shovel in its best condition, make sure to sharpen it a few times each year. To do so, simply secure it to a table with a vice and run a metal file along it’s cutting edge at a 45-degree angle until a nice clean edge appears. Applying lubricating oil to the blade after its been sharpened to help prevent rust. 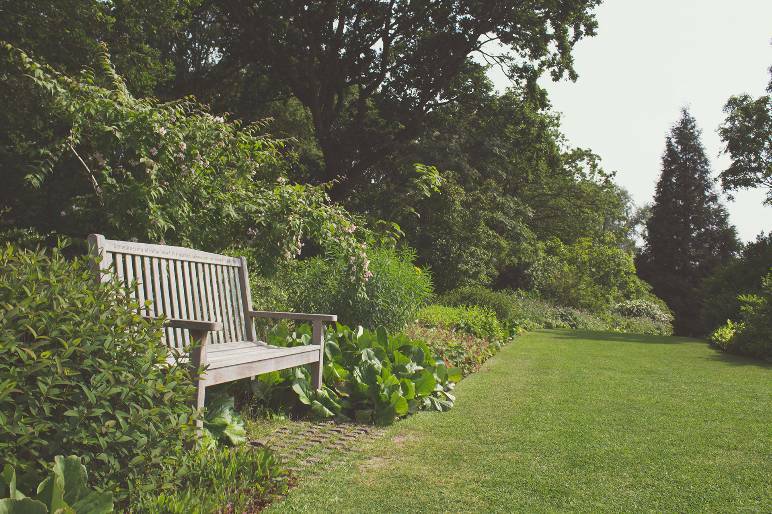 A transplant spade is specifically designed for moving plants around the garden. It’s similar to a shovel, but its thinner blade causes less damage to the root system of the plant, as well as making it easier to use in tight spaces such as crowded borders. 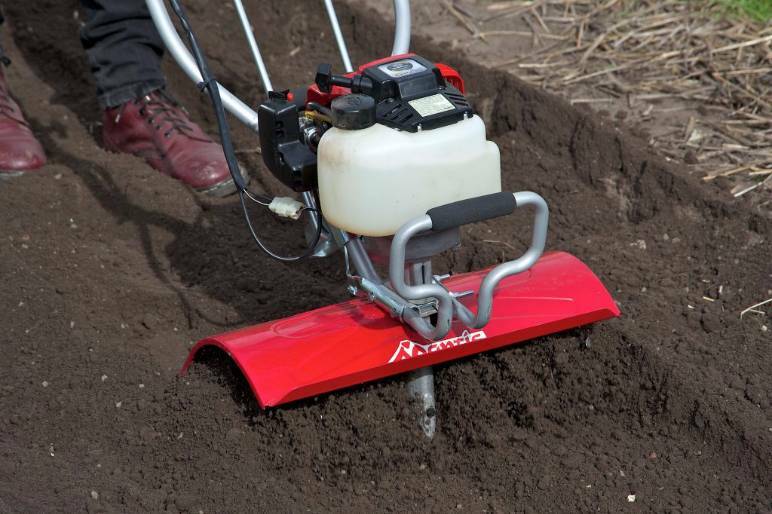 You’ll be transplanting plants often in your landscaping business, so it’s essential to get one of these specialist spades to make the job as easy as possible. Any serious landscaper should have at least two different rakes. 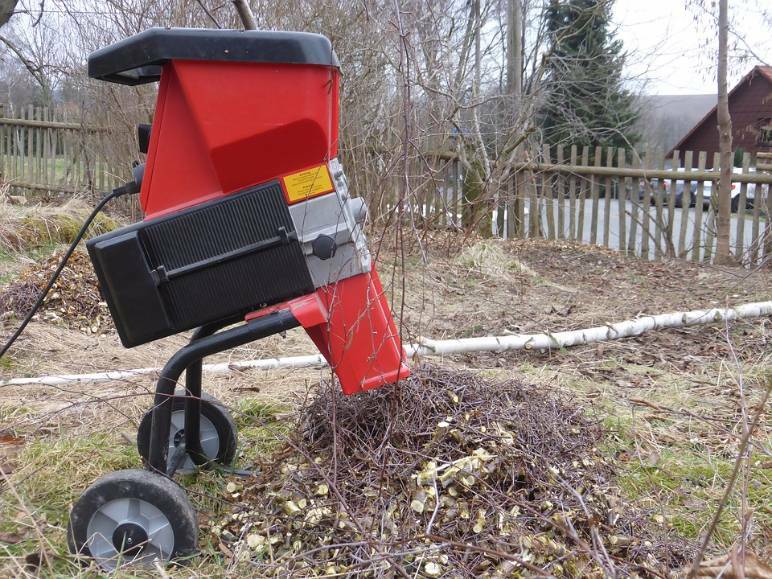 The first should be a level-headed steel rake for spreading and levelling soil, mulch, compost, and gravel, while the second should be a leaf rake — its tines are much longer and more flexible, making it ideal for gathering up leaves, twigs, and other garden debris. Get rakes with good-quality wooden handles, as this is the most comfortable and forgiving material on your hands. Rakes have no need to withstand the same kind of force as a shovel, so a fibreglass handle is unnecessary. 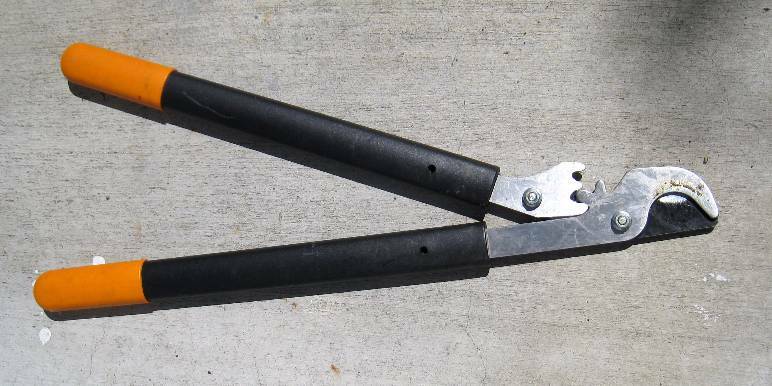 Another essential long-handled hand tool, a Dutch hoe will allow you to quickly and easily weed flower beds. Simply use the blade of the hoe to cut each weed from its roots a few centimetres below the surface. There is no more efficient way of weeding a garden, so this is an essential tool for any landscaper. As with a rake, you’ll want to get a hoe with a good-quality wood handle, as that will be the most comfortable to use. 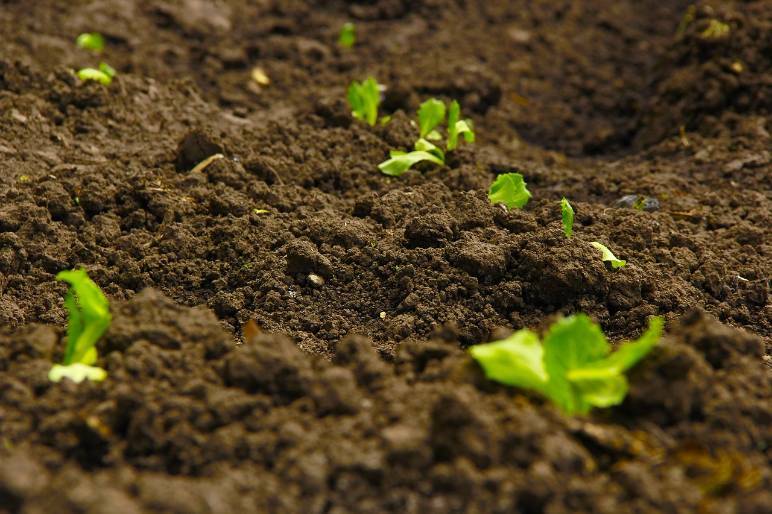 A garden fork will allow you to break up soil before planting, as well as letting you remove plants from the soil without damaging their roots. You can also use your garden fork to work in fertiliser, manure, and compost around the roots of plants. A tool you’ll use every day in your landscaping business, it’s worth splashing out on a model with a fibreglass handle and stainless steel prongs, as it will last you decades. 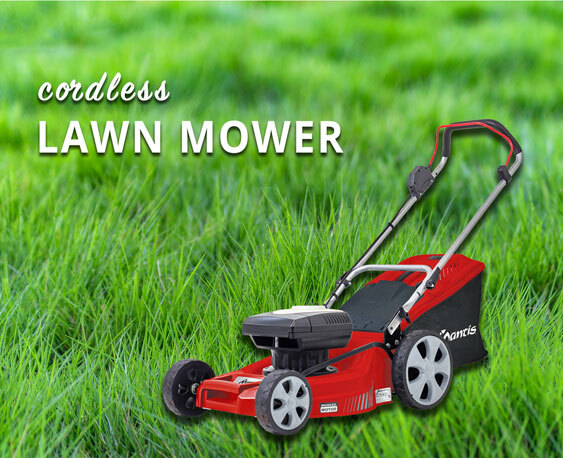 Lawn shears are essential for maintaining the grass that you’re unable to reach with your mower. Make sure to get a pair with long handles so you can use them standing up and in comfort. 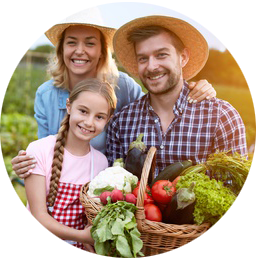 Your lawn shears will also allow you to trim grass around tree trunks and shrubs, edge beds and paths, and cut back ornamental grasses and clumps of perennials. A pair of long-handled pruners will allow you to quickly and easily remove branches up to an inch thick. The perfect tool for pruning trees and large bushes, a set with extendable handles will allow you perform basic pruning with the minimum of fuss. In more compact spaces, such as when you’re working in tightly-packed borders, you’ll need to swap your long-handled tools for their short-handled counterparts. 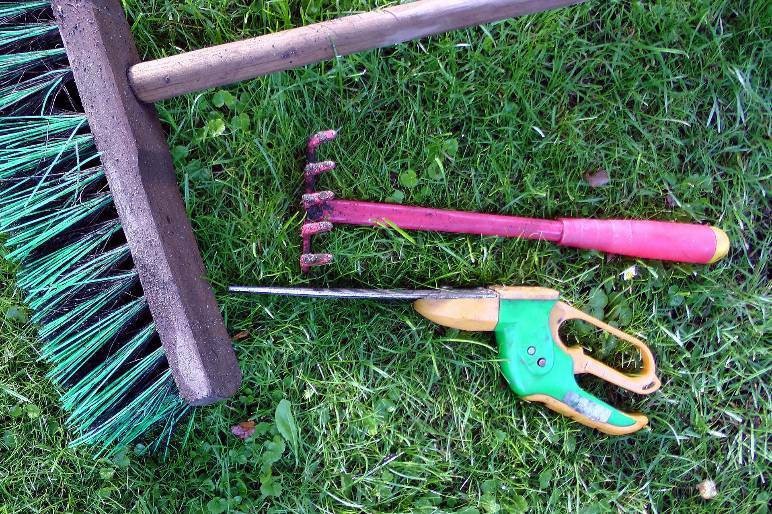 Here are some tips on choosing the essential short-handled hand tools for landscapers. 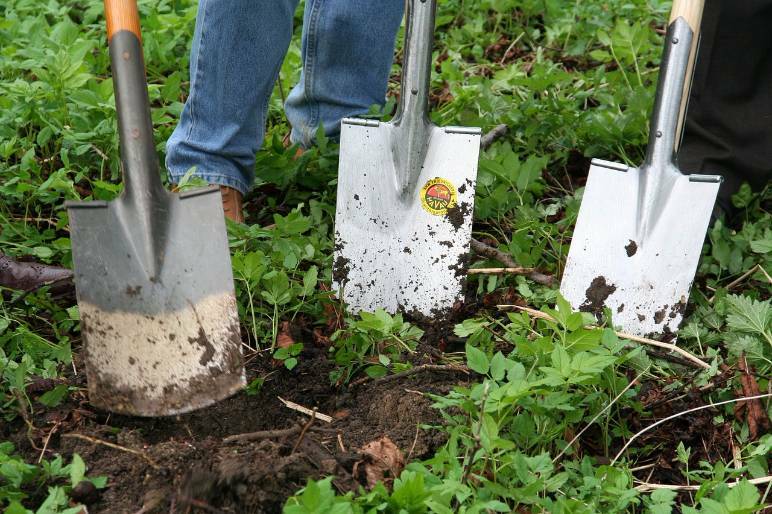 Alongside your shovel, your trowel will be the hand tool you use the most while landscaping. Use it for light digging and planting saplings, as well as uprooting weeds and old stalks. 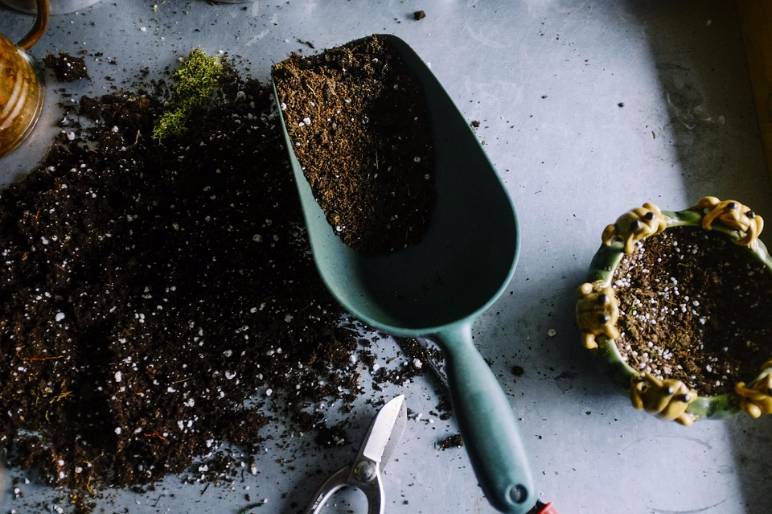 You should also turn to your trowel when working in borders full of small plants so you don’t damage the roots of the plants that are set to remain. Get a trowel with a stainless steel blade, as it won’t rust and dirt can be easily wiped from the polished surface. The short-handled hand tool you’ll use the most after your trowel will be your secateurs. Use them for pruning, cutting branches, twigs, and bamboo up to 1cm thick, and taking cuttings for propagation. You should have two pairs of secateurs: bypass and anvil. Bypass secateurs work by having two blades come together to make a smooth cut, making them perfect for use on living plants. However, they can be damaged when used on dead growth, which will bend and snap between the two blades. 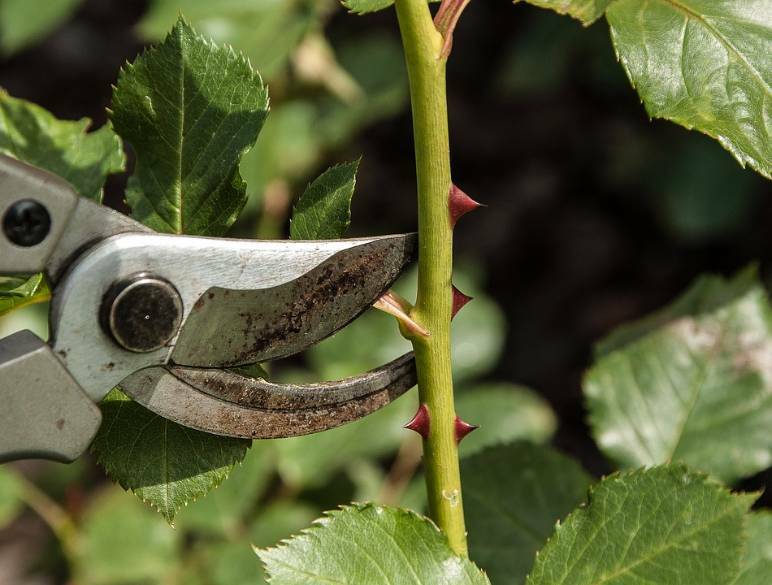 When dealing with dead and dried-out growth, it’s much better to use anvil secateurs, which create a crushing motion that is much more effective when cutting twigs and stalks. A hand rake is perfect for removing leaves and garden debris from between plants without damaging their roots or crowns. 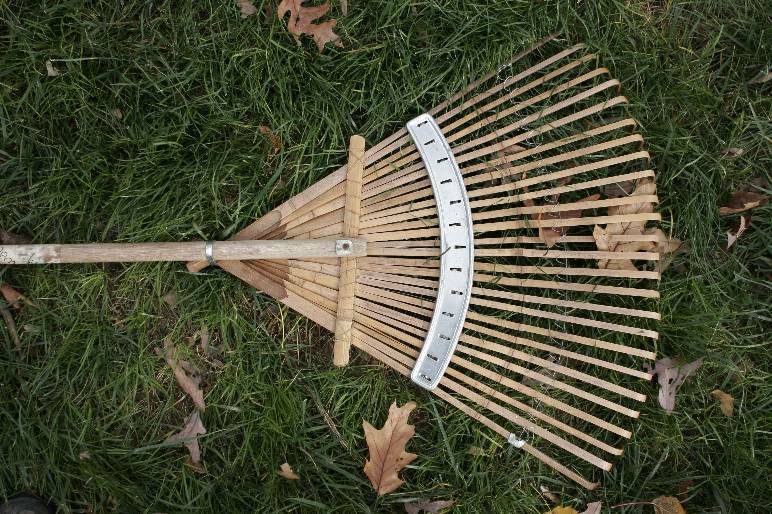 Make sure to purchase this essential item, rather than attempting to fit your leaf rake into a space it’s too large for. This Japanese hand tool is extremely versatile, and should be part of every landscaper’s tool bag. 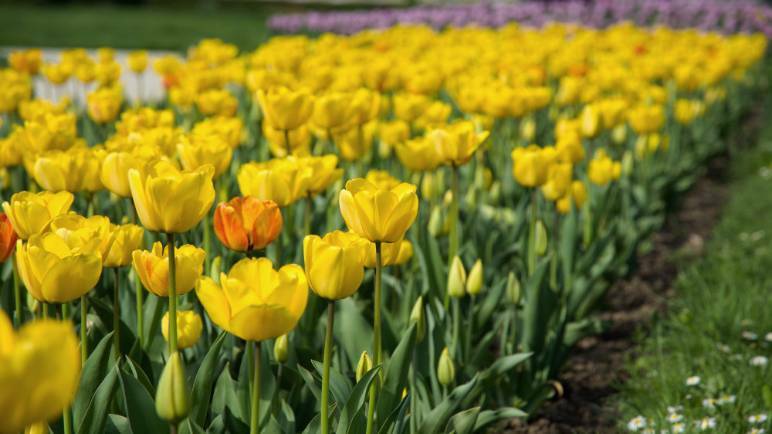 It can be used in place of trowel for digging, but it comes in to its own when you’re planting bulbs and weeding. 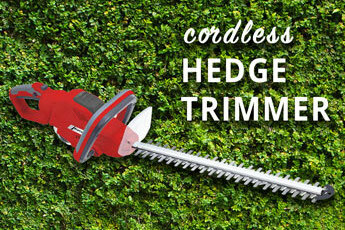 Use the saw blade to cut roots and divide small perennials, and the pointed end as a crevice tool. 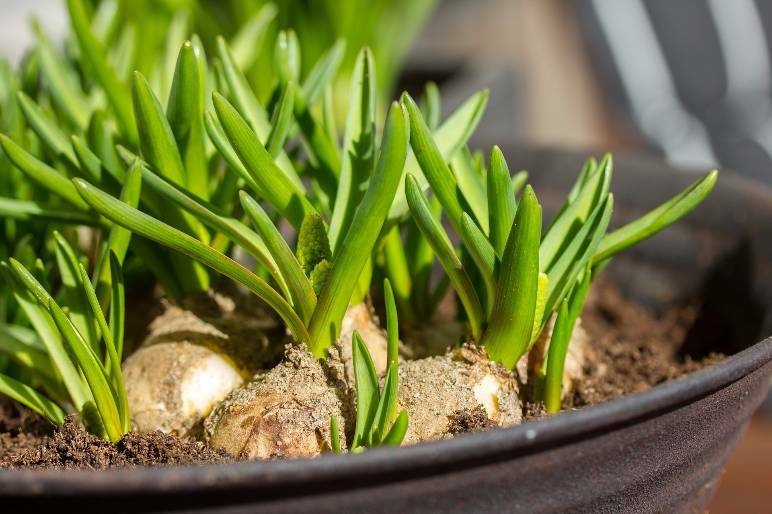 A hori hori is perfect for planting bulbs — simply stab it into the ground using the ruler to set the exact depth you want your bulb, wiggle the blade, and drop your bulb in to the hole you’ve made. 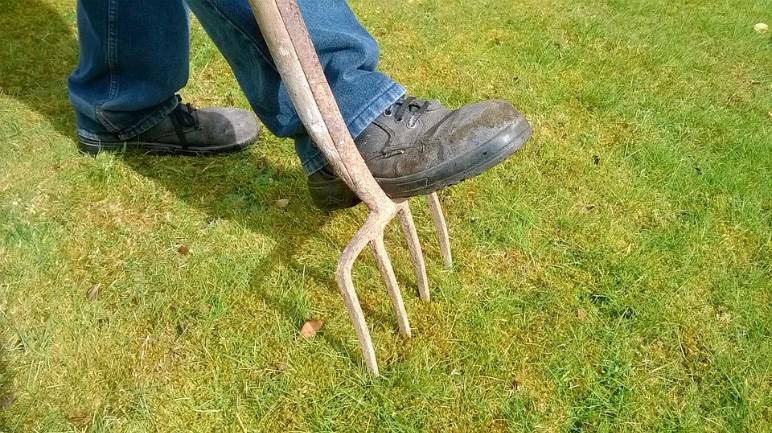 These handheld garden forks have bent prongs, making them perfect for turning soil, mixing in fertiliser, and unearthing big weeds without hassle in closely planted garden beds. To run a successful landscaping business, you’ll need a range of power tools to get your jobs done efficiently. You won’t use these as much as you’ll use your hand tools, but they’ll help you deliver a professional finish and save valuable time. While power tools are a bigger outlay than hand tools, that doesn’t mean you should scrimp. Paying that bit extra for top-quality products will be cost-effective in the long run, as they will perform better and last longer. Buy the best you can afford, but don’t get a tool with add-ons and accessories that you don’t need. These tools will only be heavier and more difficult to use. Buy your power tools from an established nationwide or international brand, so spare parts will always be easy to source. If you’re buying electric, get tools that all use the same battery so you don’t need to lug around several different spare batteries and chargers. If you have the option to wait it out, try to get the best deal on your power tools in a sale. When buying your power tools, make sure you know exactly what is and isn’t included in the price, and that you buy any essentials that don’t come as part of the initial price. Be aware of this when writing up your budget as well. A collection of the most essential power tools is for any landscaper, and you’ll struggle to complete basic tasks like lawn maintenance and topiary without them. Here are our tips for buying landscaping power tools. 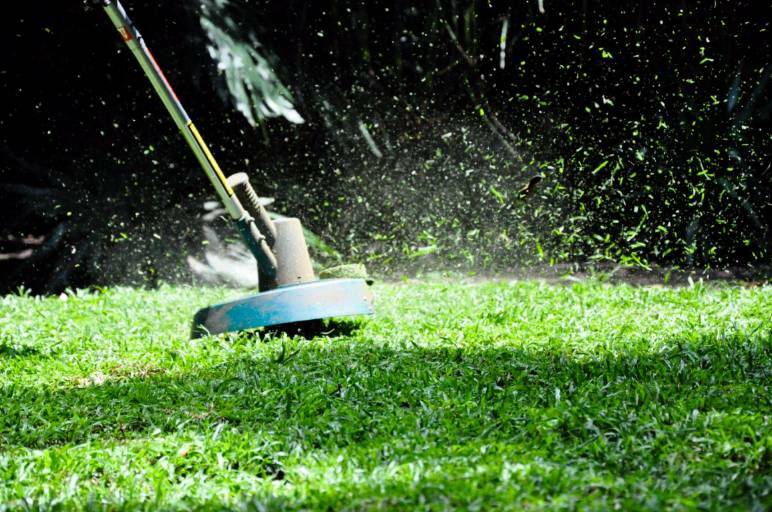 The power tool you’ll use the most as a landscaper will be your lawn mower. As you’ll be maintaining several large lawns, you should invest in a petrol-powered ride-on mower with a cutting width of at least 30” — anything less will be inefficient, and smaller units will need to be replaced much faster due to overuse. 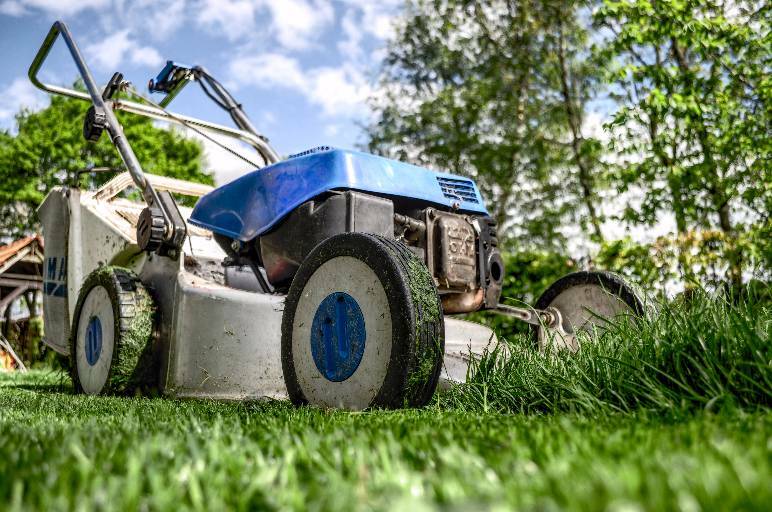 A top-of-the-range lawn mower will be a significant financial investment, but it’s an item you’ll be using every day, so it’s not an item you want to scrimp on. A grass trimmer will make short work of an area too overgrown with weeds or grass to tackle directly with your mower. It will also allow you to get a neat cut on grass right up to the edge of steps and trees. 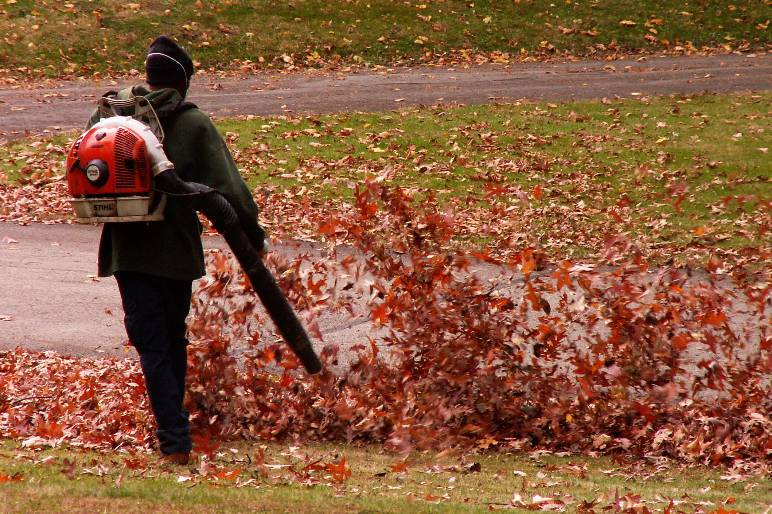 Clearing a large lawn of fallen leaves with a rake is inefficient; investing in a leaf blower will save you countless hours when running your landscaping business. They require quite a lot of power to run, so go for gas-powered over electric for the best results. 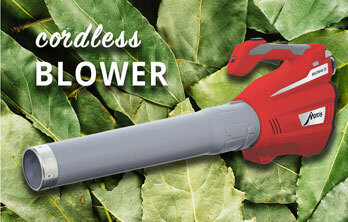 A tiller is another must-have power tool for any landscaper. 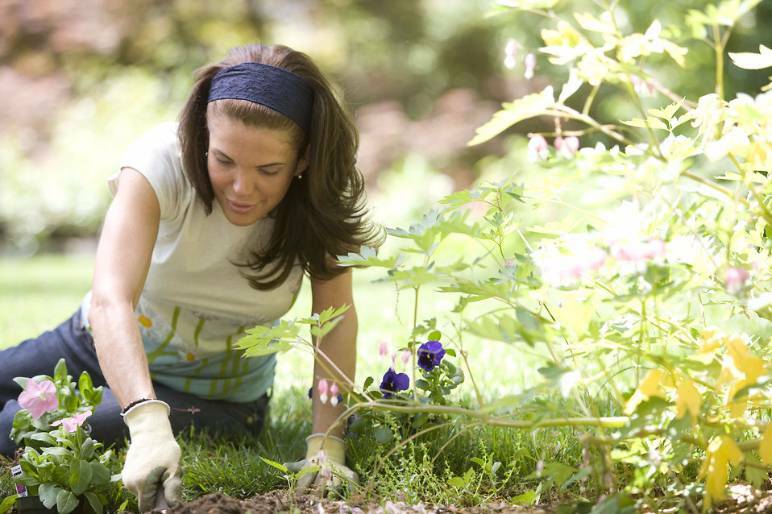 A high-quality model will allow you to create new flower beds with ease, as well as dig over existing beds in minutes. Our renowned Mantis tillers are famous for their patented serpentine tines, which enable our lightweight and highly manoeuvrable front-tine design to break down soil and hard clay more efficiently than many bulky and expensive rear-tine units. Our tines can also be quickly and easily reversed for shallow cultivation and weeding. 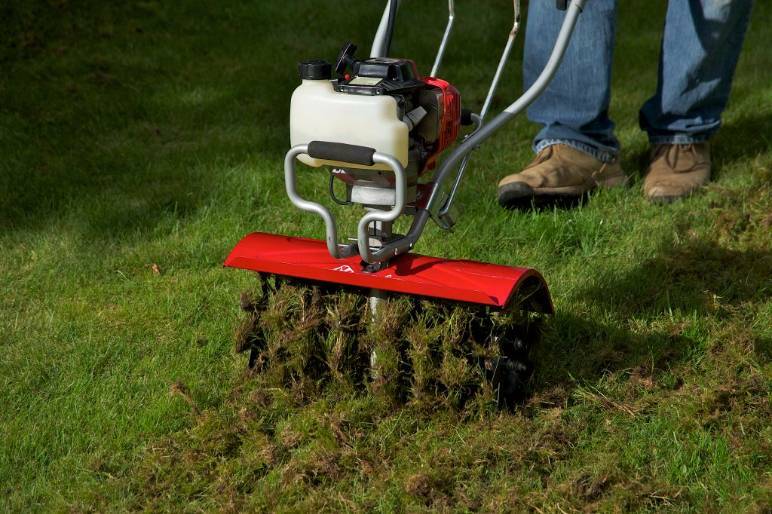 Our Deluxe XP tiller is the perfect choice for a landscaper, with its four serpentine tines and 35cc four-stroke engine powered by Subaru, which will help you create and maintain flower beds with ease. By aerating a lawn, the soil below the grass will become less compacted, allowing water, oxygen, and nutrients to flow through it more easily. 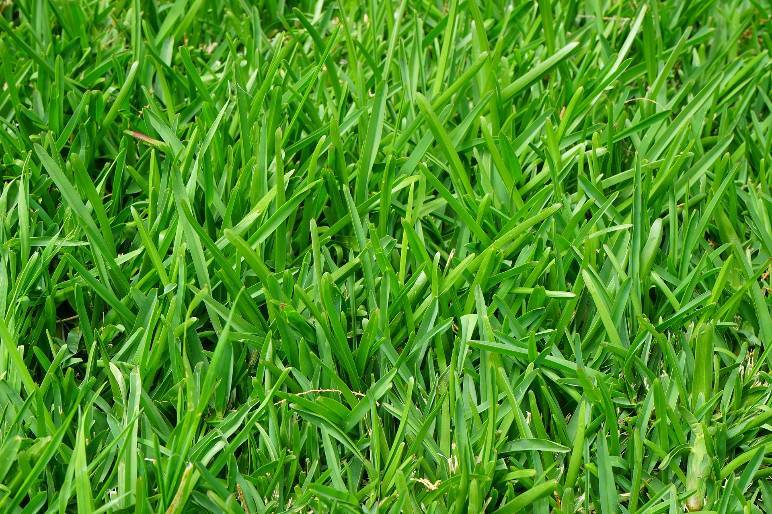 This will help the grass grow to its full potential, making the lawn as attractive as possible. 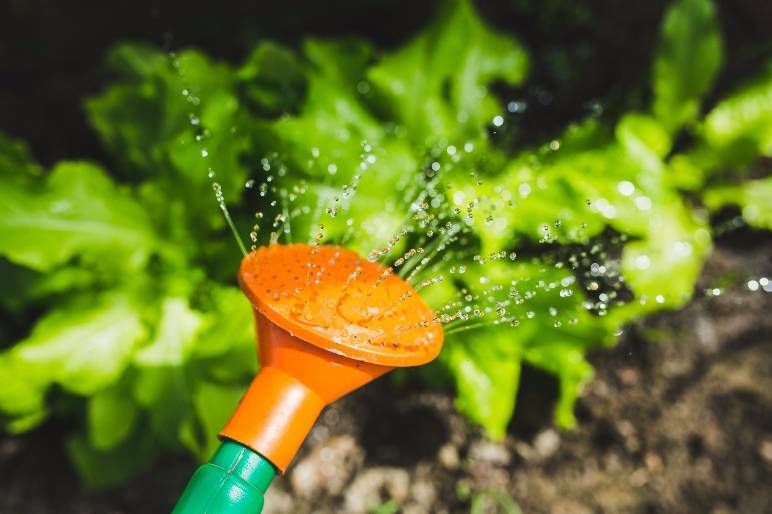 Although it’s possible to purchase hand aerators, a power tool is much better suited for a landscaping business. Stand-alone units are available, but if you own a Mantis tiller, a much better option would be the lawn aerator attachment. This will take up a lot less space than a separate lawn aerator tool. 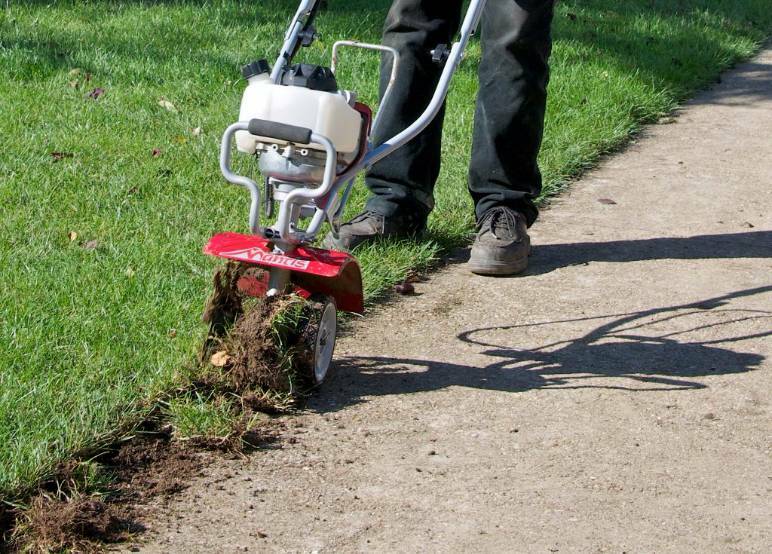 A lawn edger will allow you to keep the boundaries of your clients’ lawns neat and tidy. While you can achieve these results with manual tools, a lawn edger will save you hours of labour. If you already own a Mantis tiller, the border edger attachment will save you having to buy a stand-alone tool and provide you with the same results. 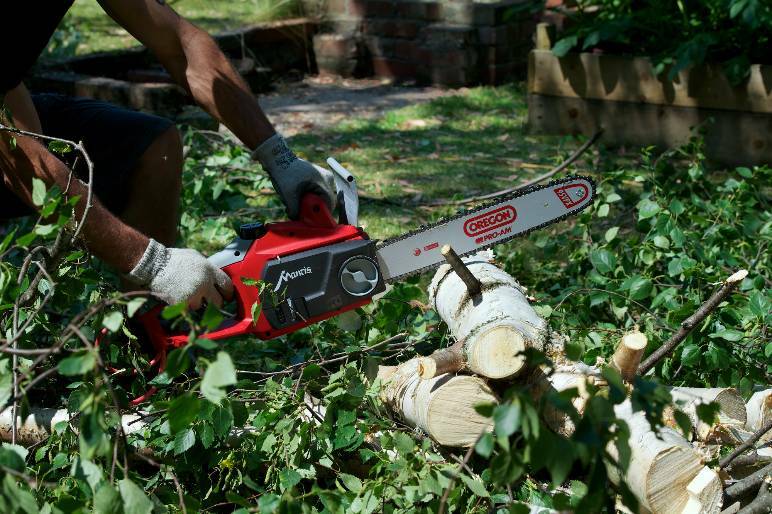 A chainsaw is an essential power tool for cutting the branches of bushes and trees that your hand tools can’t manage. It’s important to get a light model that is easy to use, as you’ll regret buying a heavy and unwieldy model when you’re using it up a ladder. Another great option for performing safe and hassle-free tree surgery is a pole pruner. 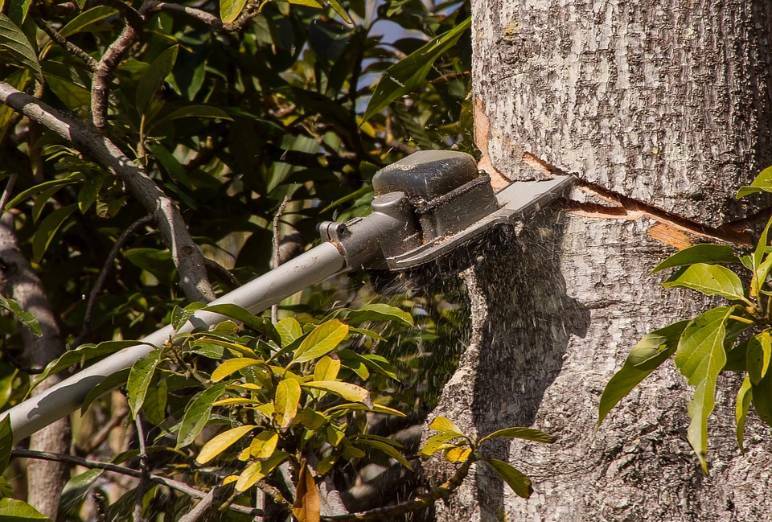 This specialist power tool will allow you to cut the upper limbs of a tree without having to balance on ladders, as the saw blade is at the end of a long pole. 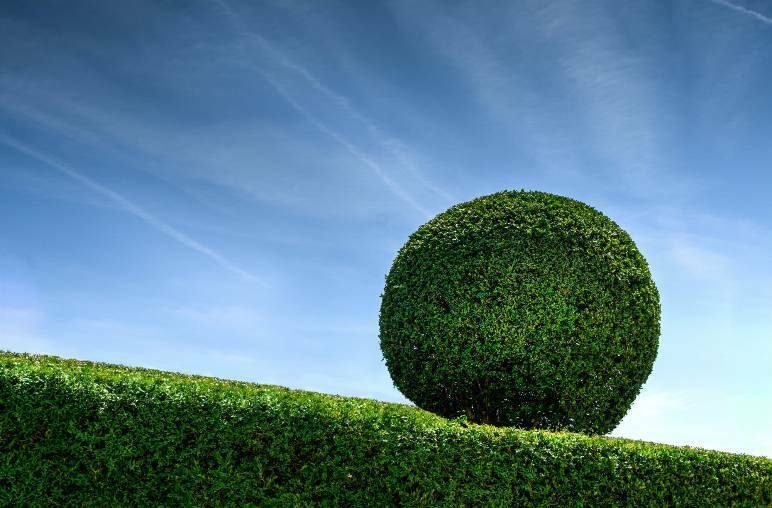 Essential for keeping your clients’ hedges in pristine condition, a hedge trimmer will help you make short work of your topiary duties. 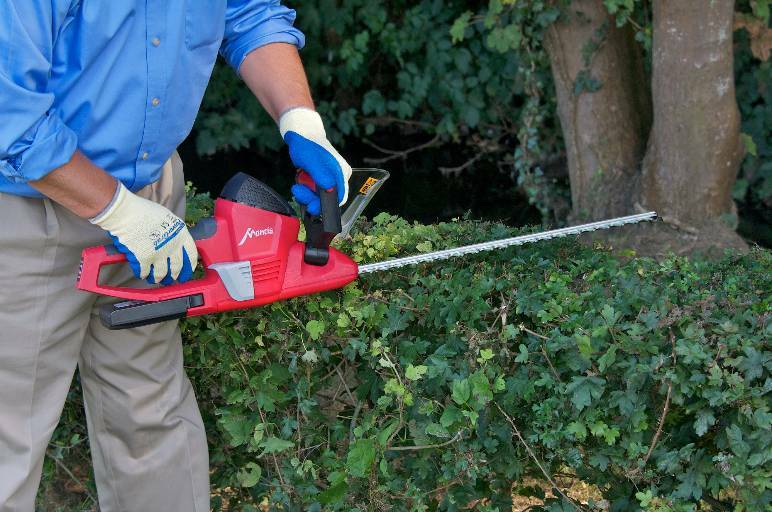 You’ll be using your hedge trimmer for long stretches at a time, and you’ll need to retain close control of it even when you become fatigued, so it’s important to get a light and manoeuvrable model. 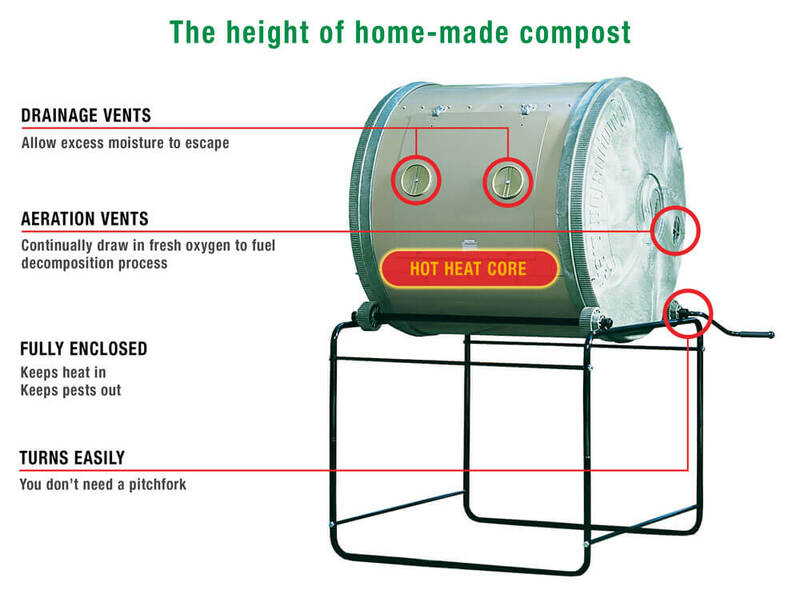 Turn garden waste in to usable material with a garden shredder. This power tool will allow you to shred up your cuttings to make mulch, and the branches from trees to make wood chips for garden use. This will cut down on waste and also save you money. 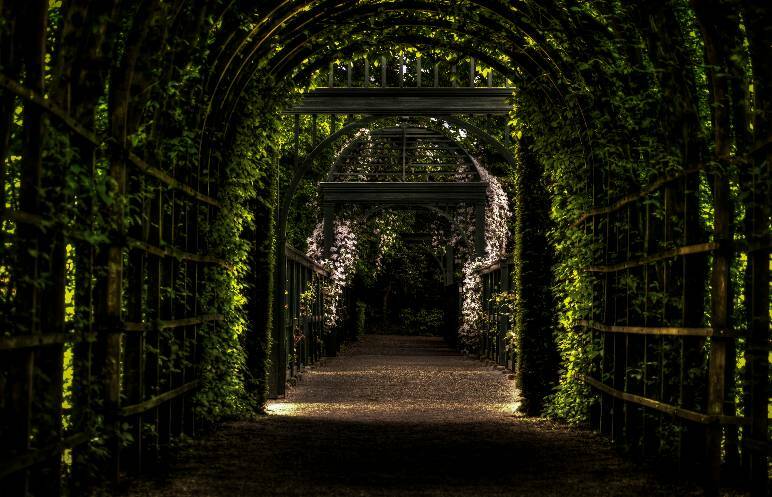 During winter, when your clients’ gardens fall dormant, your workload will naturally reduce. 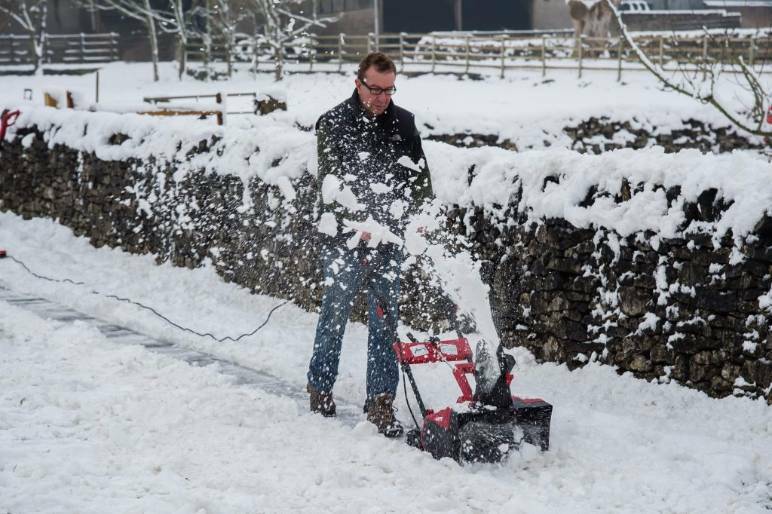 You can keep money coming in by planning all of your tree surgery jobs for the winter months, and another way you can supplement your income over winter is by offering to clear your clients’ paths and drives of snow. You can make short work of this with a Mantis snow thrower, which will clear metres of fallen snow in minutes. Alongside your hand and power tools, there are some other essentials you’ll need for your landscaping business. Here’s our rundown of everything you’ll need. It’ll be a good idea to get three pairs of gloves for your landscaping duties. 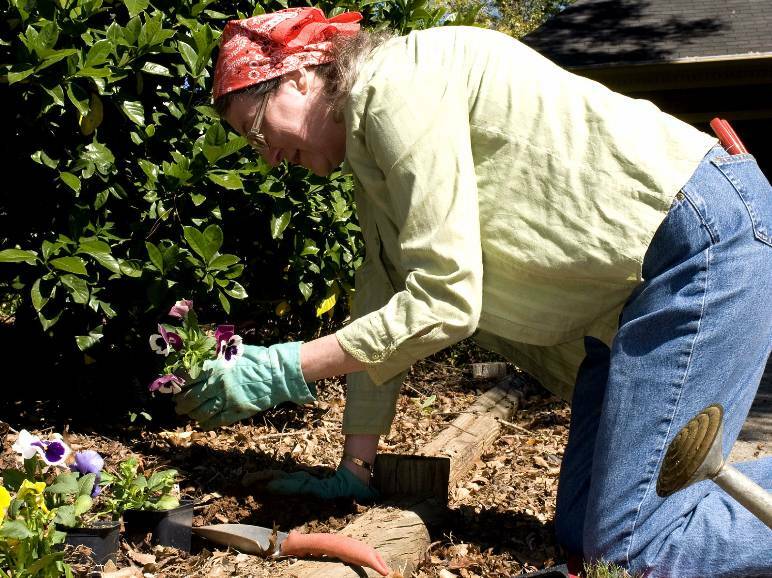 A pair of washable synthetic gloves are good for general maintenance, such as deadheading, weeding in dry soil, and handling seeds. Latex-coated cotton gloves are waterproof and puncture-resistant, making them perfect for working with wet soil and thorny plants. 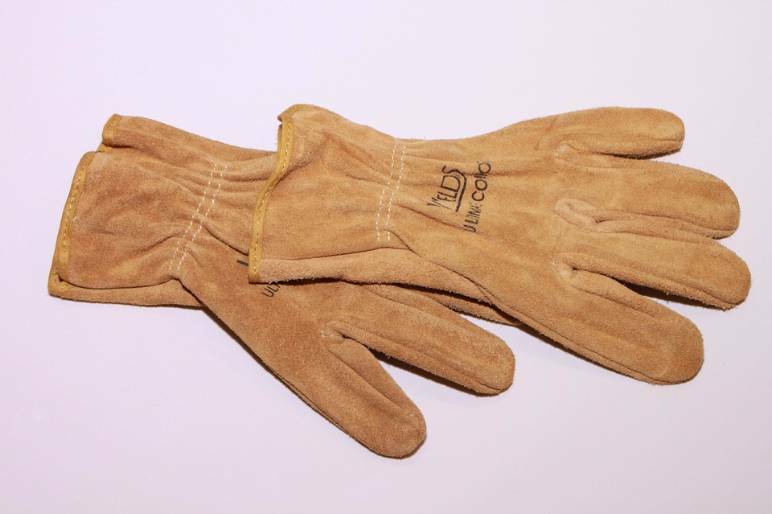 Heavy-duty leather gloves are suited to tough jobs, like digging holes and replanting trees and bushes. Replace any pair of gloves when holes start appearing in the fingers. 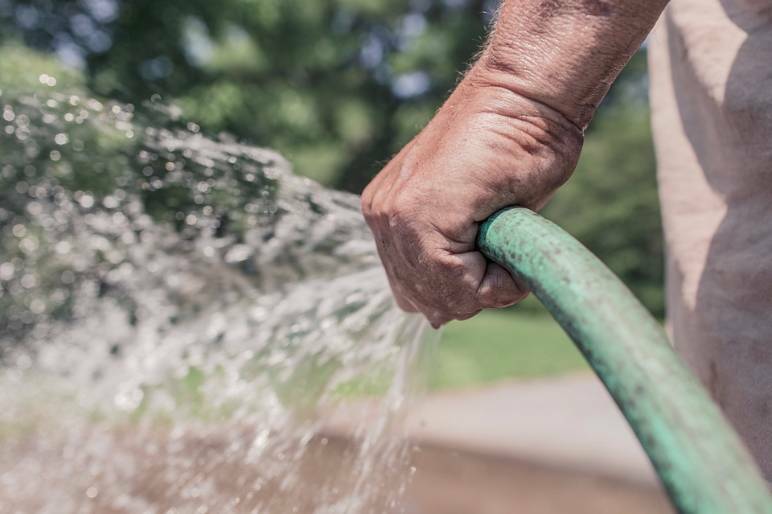 You’ll struggle to run a landscaping business without several buckets, which you’ll use almost constantly to carry items, dispose of waste, and tidy up. Get sturdy models made of thick plastic, as they will stand up to years of abuse, and choose one with measurements running up its inside for accuracy when carrying liquids. You’ll need a set of both step and full-size ladders to reach the upper branches of trees and tall hedges. 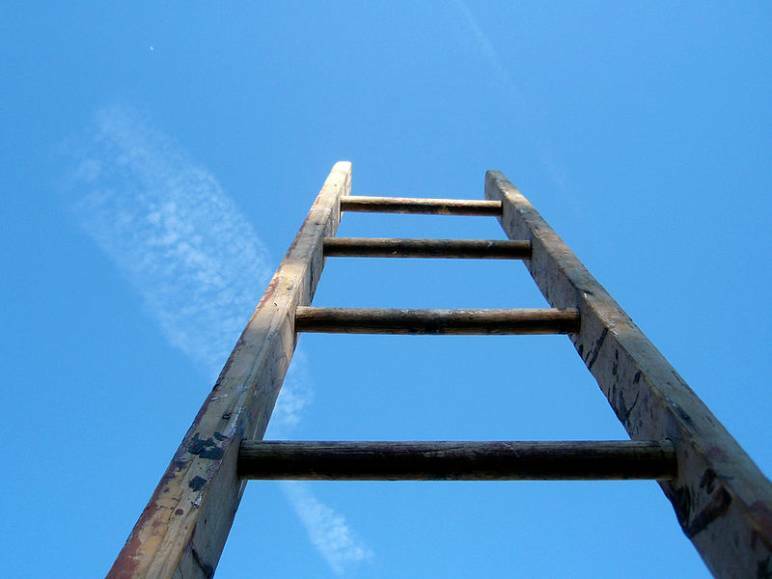 A great option is a set of Japanese tripod ladders, which are made from lightweight aluminium, making them easy to carry, as well as only leaving light indentations in grass. 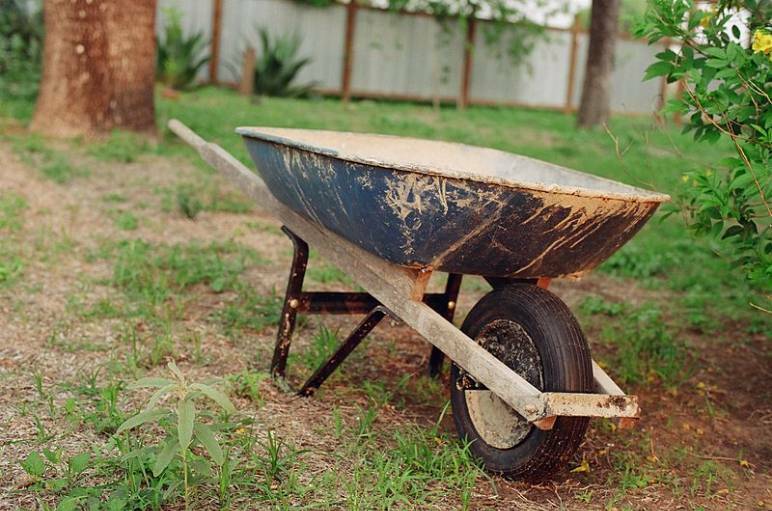 Make sure you get a plastic wheelbarrow, as it will be lighter than its steel equivalent while still being perfectly strong. And unlike its steel counterpart, it won’t rust. A model with a single wheel at the front will allow you the maximum mobility. Make sure to get all of the appropriate safety gear to use with your power tools. 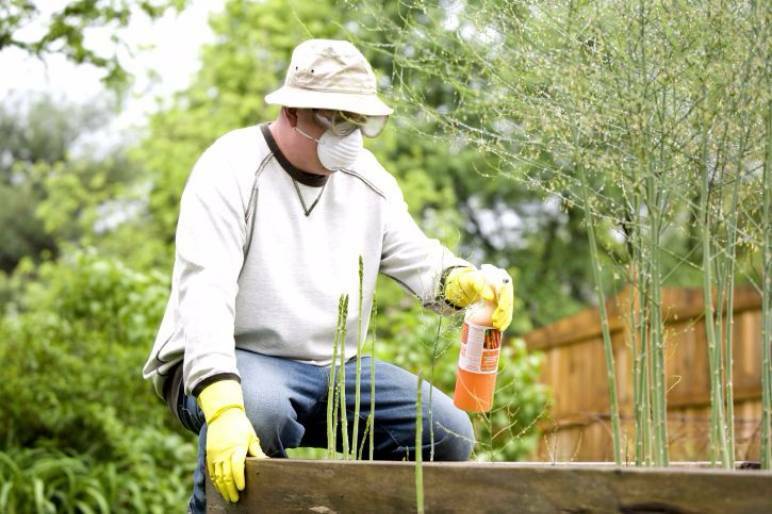 Every landscaper should have eye and ear protection alongside their gloves as the bare minimum. When performing tree surgery, steel-cap boots should be worn to protect your feet, and arms and legs should be covered up to guard your skin from sap, which can be a severe skin irritant. The best hoses are reinforced with a synthetic mesh layer, allowing them to bend easily without kinking. You should also choose a hose with crush-resistant couplings made of solid brass, and get the longest model available, which is usually 100 feet. 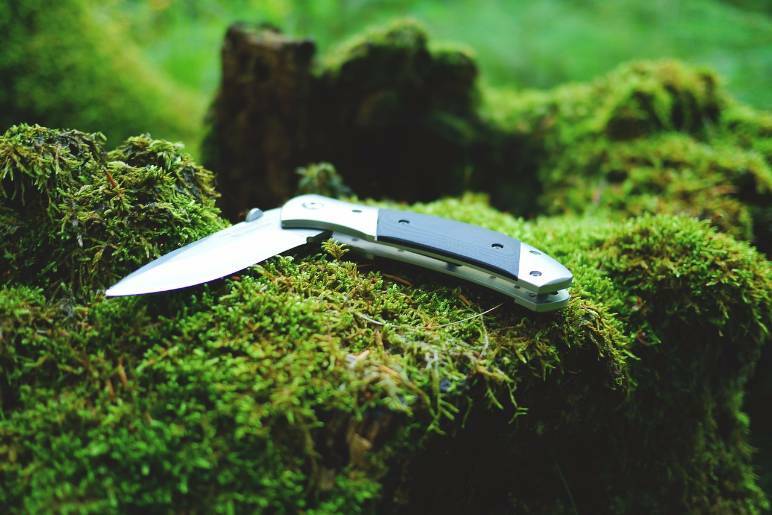 It’s a good idea to keep a utility knife on your person at all times when you’re landscaping, as it’ll come in handy throughout the day. Buy a model that has a lock, a safety guard, and a blade you can change without a screwdriver. These hand and power tools are essential items for every landscaping business. It’s important to always get the best models you can afford, as you’ll be using them every day. Furthermore, spending a bit of extra money to get top-of-the-range equipment at the start of your venture will save you money in the long run, as those initial tools won’t ever need to be replaced in some cases. If you don’t have the funds to buy the best versions of every tool, you’ll be best off starting with a small collection of high-quality essentials and adding to it from there, rather than buying cheap versions of every tool on this list. Follow these buying tips to get the best hand tools and power tools available. Remember when making these purchases that these tools will be the cornerstone of your business for years to come, so it pays not to scrimp on this early investment. 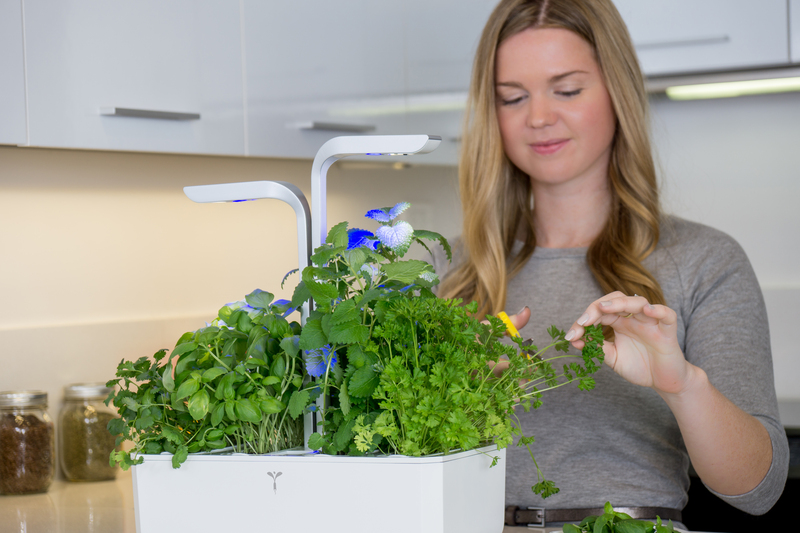 I love these items and will like to buy them for my horticultural and landscaping business.